When Volkswagen (VW) boss Matthias Mueller vowed to reform the carmaker after its emissions scandal, decentralising power from its Wolfsburg headquarters in Germany was a top priority. That commitment is now being put to the test in one of the company's most important international projects: building a low-cost car for India. Mueller said in March he was giving the job to the group's Czech brand Skoda, which is now leading partnership talks with India's Tata Motors. Skoda has been authorised to take "incremental" decisions, while keeping Wolfsburg informed, a source at the brand said. The move, the first major international project led by Skoda since Volkswagen took full control of it in 2000, is a sign of how the different divisions and regions within the 12-brand VW empire are gaining influence, the source added. Mueller's nine-member management team has also started to hold regular meetings outside of its northern German home, with the first one abroad held in Shanghai in April. Sharing out power is important because many people both inside and outside VW believe the company's traditional authoritarian management structure created the environment that led to engineers installing illegal software to cheat diesel emissions tests in millions of cars worldwide. With staff focused on meeting targets set by remote bosses and too fearful to highlight problems, VW was plunged into the biggest business crisis in its 80-year history when the cheating was exposed in September 2015 — a crisis that has so far cost it more than $25 billion in fines, compensation and vehicle refits. Some VW investors say there were other causes of the crisis — in particular that the company was not open enough to outside scrutiny. They want it to appoint more independent directors to oversee executives, and hire more managers from outside the group, rather than filling top jobs with company veterans. So far Mueller, who has been at VW for 40 years and became chief executive officer (CEO) a week after the emissions scandal erupted, has rejected calls to overhaul its supervisory and management boards. VW has also not, as originally promised, published the report it commissioned from a US law firm into the emissions scandal, saying there are no written findings and it is unable to do so under the terms of a settlement with US authorities. But Mueller's decentralisation drive may help to win over some investors — particularly if it boosts financial results. Analysts say Wolfsburg's grip over the world's biggest carmaker has been responsible for some of its failings in key markets. These include the United States (US), where VW has struggled to adapt to local tastes, and also building a budget car for emerging markets, where Wolfsburg engineers steeped in technical excellence missed cost targets, VW sources have said. VW's low-cost Lupo model was dropped from production after less than a decade due to weak demand worldwide, while a small car partnership with Suzuki Motor Corp. collapsed. Skoda, which built cheap runabouts during the Czech Republic's Communist era, is studying whether it can adapt a low-cost production platform developed by Tata Motors, the Skoda source said. The firms are also looking at potential joint development of components, he added. A Tata Motors spokesperson said the companies were "evaluating the potential cooperation," without elaborating. If it can succeed, a budget car for India would tap into a lucrative part of one of the world's fastest growing auto markets, and would be a big boost in VW's battle for global industry leadership with Japan's Toyota. But it's early days, and the project won't be easy. Rival General Motors (GM) has decided to stop selling cars altogether in India due to cut-throat competition. There are also question marks over whether VW has entirely cast off its old centralising habits. For example, when the company's factory in Tennessee had problems ramping up production of its new US SUV, the Atlas, Wolfsburg vetoed a contract extension for the head of the plant, according to one VW source. VW last month said only that he was returning to Germany after completing his assignment. The biggest brake on Mueller's decentralisation drive may come from VW's home state of Lower Saxony and powerful labour unions, which together dominate the supervisory board that decides on plant closures, asset sales and executive posts. Home to six VW plants with over 100,000 workers, Lower Saxony has the most to lose from a dispersal of power to VW's regions. Its leadership supports Mueller's reforms, but with reservations, saying employees should be involved and changes should not be implemented in a top-down way. "A culture change can only succeed together with all participants," Lower Saxony prime minister Stephan Weil told Reuters. Many of Mueller's reforms are aimed at engaging and empowering staff, while breaking down barriers with executives. Some changes have been symbolic, such as selling VW's corporate Airbus jet or opening up the executive dining room at Wolfsburg to factory workers; others, more fundamental, such as empowering senior engineers to control budgets and deadlines, according to company sources. Mueller is also reducing the number of the group's corporate committees by a third, and staff have noticed a difference. "Before the crisis, top management was aloof," said an employee who has worked in administration at Wolfsburg for 15 years. "Now there is a refreshing sense of normality." To encourage innovation and risk-taking, VW is considering raising the pay of its 20,000 managers worldwide, said group human resources boss Karlheinz Blessing. Blessing himself is trying to lead the change in culture by shunning the executive car park and riding a bicycle on factory grounds. "We encourage people to take responsibility," he said in an interview. "But that will take time. First there needs to be confidence that you won't be raked over the coals if you make a wrong decision." There are hopes this more hands-off management style will also improve company performance. Elmar-Marius Licharz, one of four new model-line chiefs at the VW brand, said designers and engineers working on the VW Golf 2019 model were about two months ahead of target, suggesting the pace of product development had picked up with fewer top managers intervening in the process. "Involving the CEO in development of each model creates a lot of time limitations," he said. "It's all about collaboration and self-reliance now." For all Mueller's reforms within VW, however, corporate governance experts say there has not been enough progress in opening up the company to outside scrutiny. 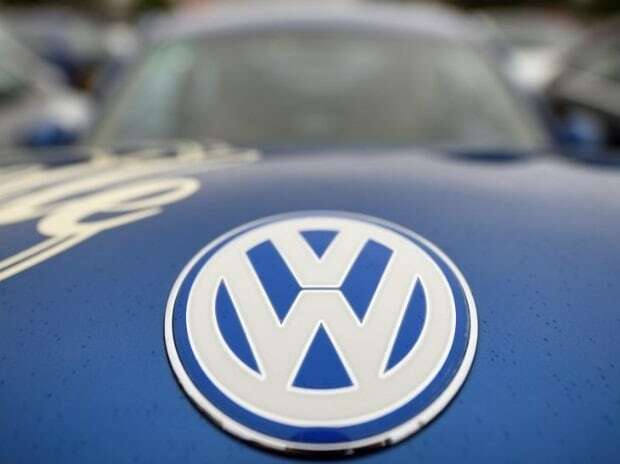 The executive hired for a newly created management board position for integrity and legal affairs quit in January after only a year in the job, with VW citing unspecified differences with management. A new appointment has been made. That compares with GM which, after its own scandal over safety defects, appointed a vice president for vehicle safety and publicly stated that if there were any obstacles to solving a safety issue the executive "has the authority to clear them." A labour union source said VW's compliance efforts were in their infancy, with only about 65 compliance officers and 25 or so integrity experts at a new unit responsible for the group's 620,000 workers. VW declined to comment. That compares with the several hundred of compliance officers and experts that German industrial group Siemens has employed since a 2006 corruption scandal. For Christian Strenger, a supervisory board member at Deutsche Bank's retail asset management arm DWS, VW's reforms will fall short until it improves the oversight of top executives and brings in new leaders to replace the likes of Mueller and Chairman Hans-Dieter Poetsch, another VW veteran. He has filed a lawsuit against VW's entire management and supervisory boards to try to reverse the 2016 appointments of Poetsch and three other supervisory board members. He wants them replaced with independent directors. "Without substantial changes, neither customers, investors, the public nor the media will be convinced by this cultural change," Strenger, a former corporate governance adviser to the German government, told Reuters. There is no sign that VW's leadership, backed by the group's Porsche-Piech founding families which own a controlling stake in the business, is ready to comply. "We consider this lawsuit to be completely unfounded," a VW spokesman in Wolfsburg said. So the battle over reform at VW looks set to rage on. "The cultural overhaul is a Herculean task and will take 10-15 years to materialise," predicted Stefan Bratzel, head of the Center of Automotive Management think-tank near Cologne.